This is a new class in 2011 which will combine Ballet, Jazz and Hip Hop into one 45 minute class. Students will learn all three styles thoughout the year which will prepare them for the classes that we have on offer in the Junior Level. 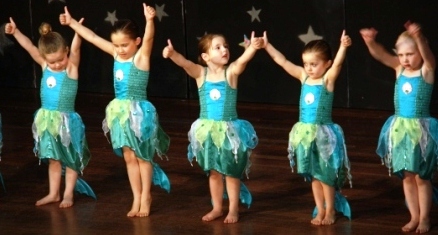 Tiny Tots will focus on being in time with the music and learn how to grow confident in dance lessons and performances.